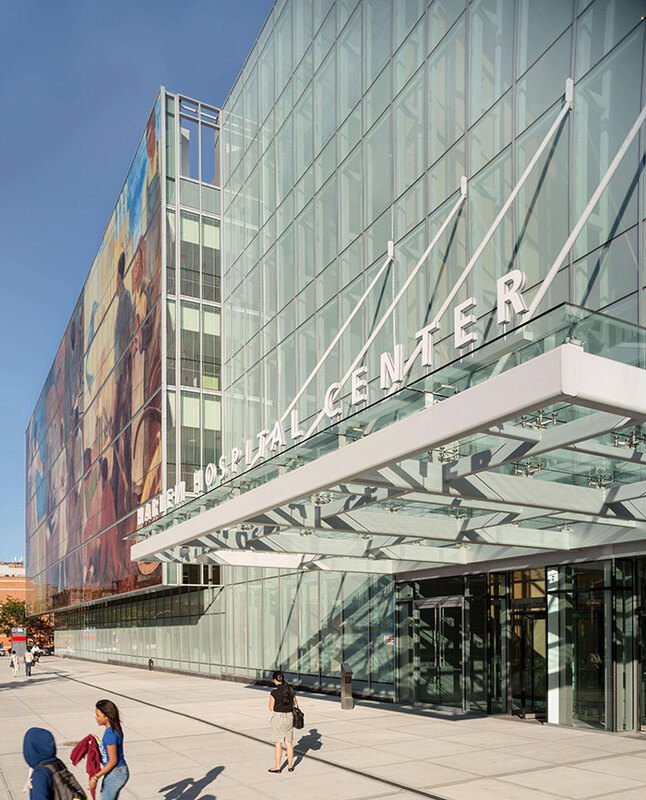 TDX Construction provided comprehensive pre-construction services and managed construction of a new Patient Pavilion of approximately 200,000 square feet at Harlem Hospital Center. 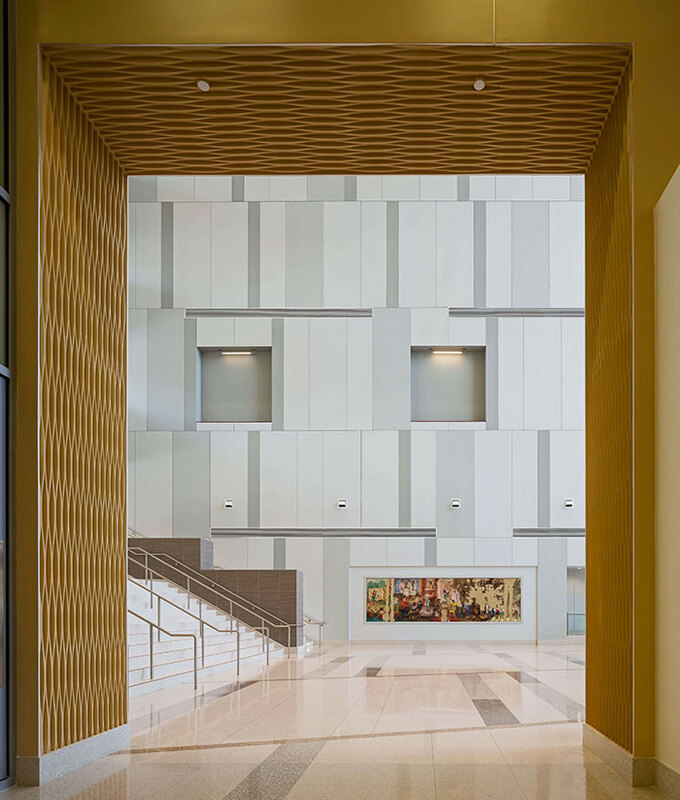 The building houses a new emergency room, a 32-bed Intensive Care Unit, operating rooms, diagnostic center, and other function, and provides a new main entrance for the hospital on Lenox Avenue. The program also included a renovation of portions of the Martin Luther King and Ron Brown Pavilions. The new building also features a unique curtainwall system. 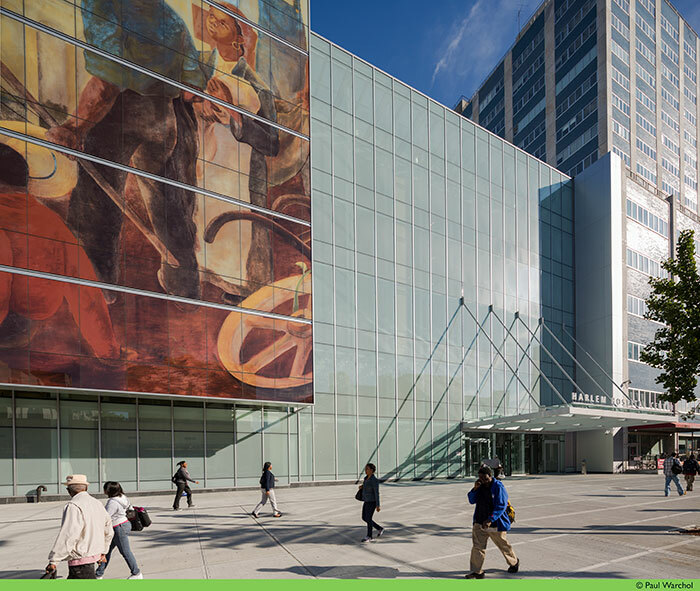 In preparation for the project, Works Progress Administration paintings were removed from the walls of on-site buildings prior to demolition and were restored and later installed in the atrium of the new building. The new curtain wall system along Lenox Avenue is 180 feet long and 72 feet high. Digital photographs of several details from the restored paintings were reproduced in ceramic ink baked onto glass panels within insulated glazing units on the facade. The insulated curtain wall units are illuminated from behind by cove lighting.